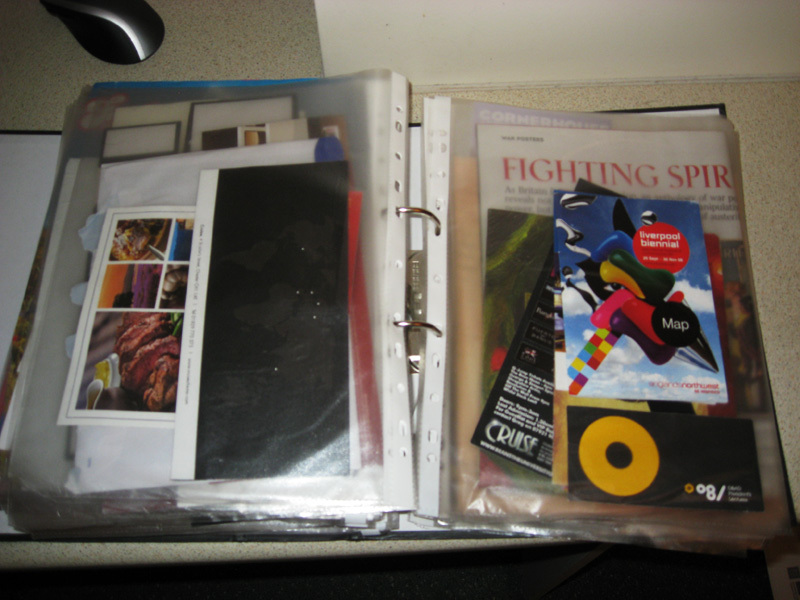 A source file can be incredibly useful in finding new ways to progress with an idea. A source file allows you to see what’s worked in the past and how you can make it even better. It gives you ideas on how to progress with your idea without treading on the ideas of others. 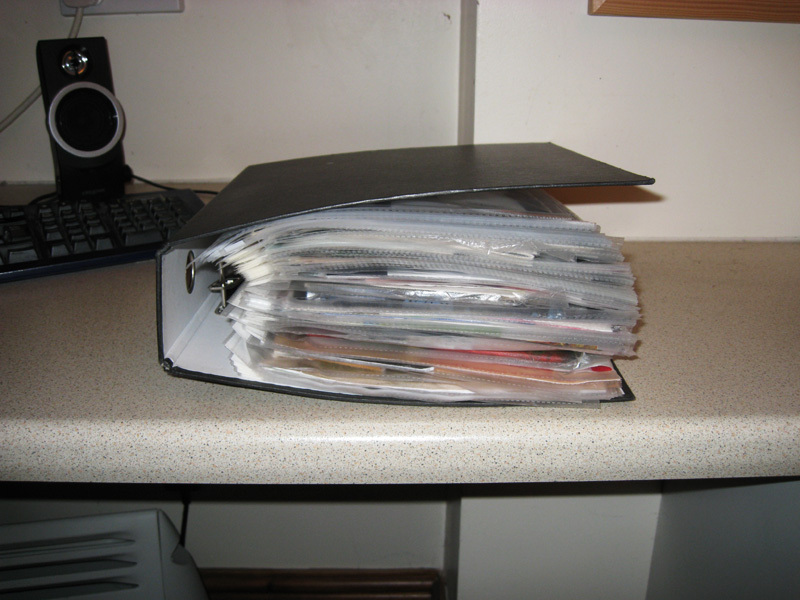 My source file has been accumulating since 2002 and as you can see, it’s gotten quite big. There’s all sorts in it. Magazine adverts, packaging, tickets, leaflets. Everything. It’s all useful for design research. You’ll find that some of the best design ideas come from the more obscure pieces of promotional material. Don’t just collect posters, but things like ticket stubs and magazine covers too. Check out the D&AD ticket. Very simple, but very eye catching. If you’re lucky enough to know or be a student, then you’ll undoubtedly get countless leaflets and flyers posted through your door pretty much every day of the week. Keep them. Well, keep the good ones, that is. Sometimes even the bad flyers offer you good ideas on how to improve them and/or your own work. Not that I can be responsible if you get caught of course, but if there’s something particularly interesting in a shop or a restaurant that you think would be great to keep, take it. 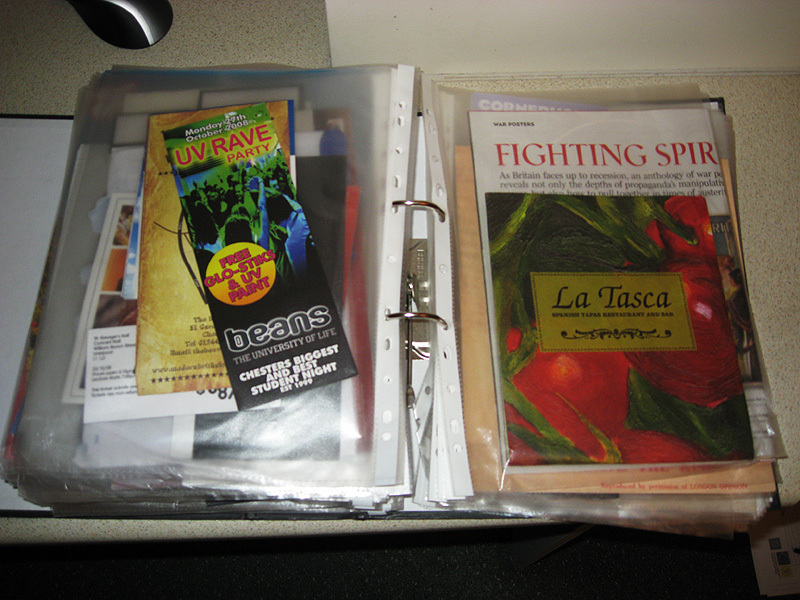 Now I’m not condoning shoplifting of course, but La Tasca certainly aren’t going to miss a menu, as seen on the left. I picked this up because it’s a great example of how a menu should be designed. You should have a look if you get a chance. Another example of something you should have in a source file is packaging. 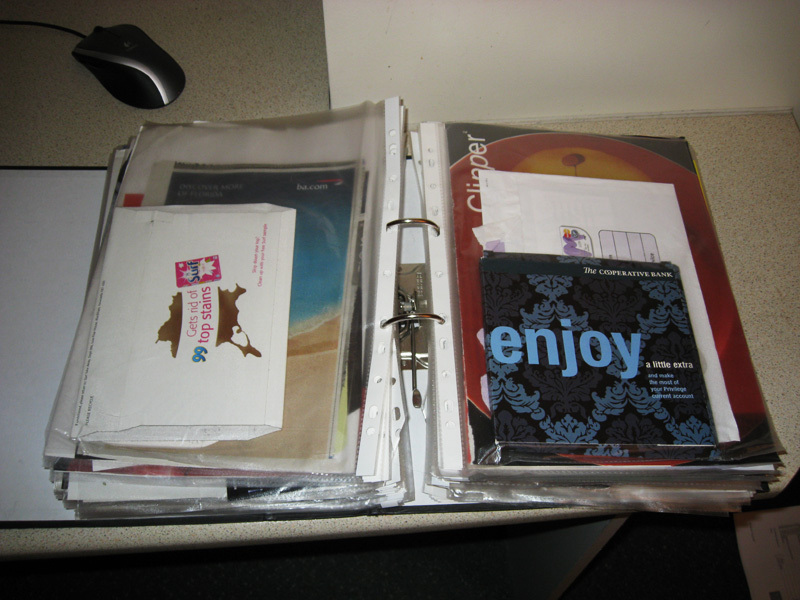 A lot of times, companies will send you stuff through the post that’s more than just a letter. They do this to grab your attention. And if you take the time to open it and see what it is, then it’s done its job of getting you to notice it. And if something does that, keep it. Learn from it. Use it in your next project. Finally, take a look at the packaging that your shopping comes in. From cereal boxes to beans to chocolate to drinks, it’s all relevant. As before, if it makes you pick it up, then it’s done its job and you can learn from it to help you do the same with your project. 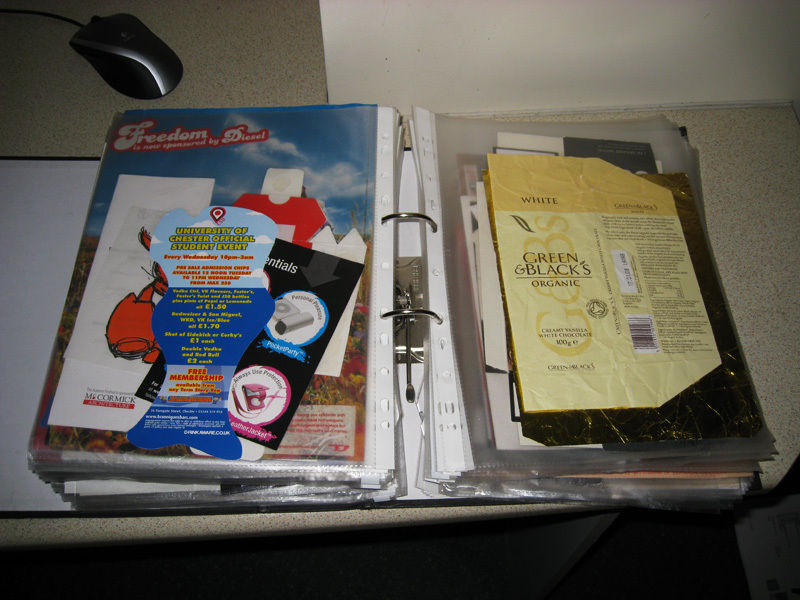 In particular, you’ll find that the way chocolate is packaged is quite interesting. Chocolate is always seen as a luxury item and you’ll find that it’s always packaged to reflect that, with gold/silver leaf and rich colours. If nothing else, these types of packaging offer you a chance to see which materials would look good on your products and posters. So, if you haven’t already got one, consider starting a source file. It’ll help you considerably when you come to thinking about your next project. If you do have a source file, I’d love to see yours and compare. Send me a link and I’ll check it out.